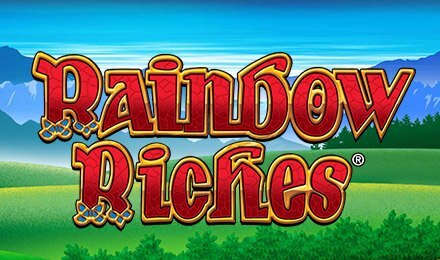 Test your Irish luck with Rainbow Riches Slots! Win the pot of gold while enjoying 5 reels, 20 paylines and 3 fabulous bonus rounds! Embrace your inner lucky leprechaun and play Rainbow Riches Slots today at Moon Games! This 5 reel 20 payline Irish themed online slot game is bound to bring you good luck as well as big wins. There are 3 fabulous bonus rounds where you can multiply your wins! Get 3, 4 or 5 leprechaun symbols to win the Road to Riches bonus; win the Wishing Well Bonus and you can choose a well that contains a multiplier; and you may just reach the end of the rainbow and win big with the Pots of Gold bonus. Rainbow Riches Slots is one of the top online slot games! See what all the fuss is about. Spin to win and test your luck today!